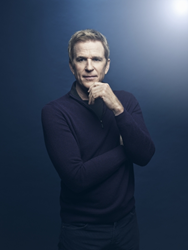 The New York Film Academy (NYFA) and Matthew Modine have partnered to create the new Matthew Modine Masters Scholarship for prospective NYFA MFA Filmmaking and MFA Acting for Film students. “There’s a long tradition of artists receiving aid from benefactors," says Matthew Modine. "Many of our greatest artists came from humble beginnings and received a hand-up from varied patrons. I’m grateful to have the opportunity to support the coming generations of artists." The New York Film Academy (NYFA), in partnership with award-winning actor and NYFA Board Member Matthew Modine, have announced the creation of the Matthew Modine Masters Scholarship to provide financial assistance to prospective students applying for the school’s Master of Fine Arts (MFA) programs in Filmmaking and Acting for Film. Designed to further the art of visual storytelling, the Matthew Modine Masters Scholarship at NYFA supports graduate-level candidates who exhibit exemplary purpose, creativity, and commitment to community, as they enter their programs. “Jerry Sherlock, the founder of the New York Film Academy, was a dear friend,” says Matthew Modine. “We had a shared passion for education in the arts. There’s a long tradition of artists receiving aid from benefactors. Many of our greatest artists came from humble beginnings and received a hand-up from varied patrons. I’m grateful to have the opportunity to support the coming generations of artists." NYFA will release 5-10 scholarships each year in the amount of $5,000-$10,000, for prospective students applying for Master of Fine Arts degrees in Filmmaking or Acting for Film. Candidates are nominated by NYFA staff or faculty, and scholarships are awarded at the school’s discretion. For more information, visit the Matthew Modine Masters Scholarship page at nyfa.edu. It’s been said of Matthew Modine that he is “one of the best, most adaptable film actors of his generation,” by legendary NY Times film critic Vincent Canby. The award-winning actor is known for his performances in Stanley Kubrick’s Full Metal Jacket, Birdy, Short Cuts, Married to the Mob, Pacific Heights, and many more. He can be currently seen in both seasons of the Netflix global mega hit Stranger Things, which won the 2017 Screen Actors Guild Award for Outstanding Performance by an Ensemble. Matthew is a member of the New York Film Academy's Board of Directors and generously donates his time as a master class instructor at NYFA. The New York Film Academy (NYFA) is a leading visual and performing arts school that offers courses across 15 areas of study in New York City, Los Angeles, South Beach/Miami, Gold Coast (Australia), Florence (Italy), Mumbai (India), and more. Thousands of aspiring artists come to study at the New York Film Academy each year from over 120 countries. For more information, please visit nyfa.edu.